In shaa Allah we'll be organizing grand iftars this year too at our Wall of Humanity on different streets & roads of Faisalabad as well as our Wall of Humanity built on Susan Road.The main mission is to serve maximum needy and underprivileged people of Faisalabad since last 2 years we have been trying hard to serve people through our Wall of Humanity but few of them did got demolished as it was built on someone else's private property (with their permission) and they had to construct it for their own use. 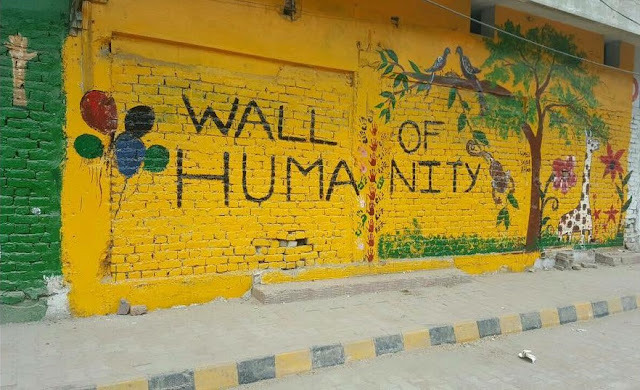 But we kept trying hard to serve people of Faisalabad via our Wall of Humanity & different events on Wall of Humanity. More importantly we believe if we want to serve these people we need to educate them & their children as well so we runinng Slum School as well. Aik koshish ki hai aap sab ki support zarurat hogi.